Russia is a country that stretches to the east of Europe and northern Asia with an area of ​​17,075,400 km2. With this area, Russia is the largest country in the world. Even the Russian teritory wider than pluto. 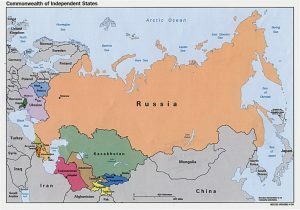 Russian state has twice the size of the United States, or twice the territory of the People’s Republic of China and twice the size of Canada. This country stretches on 2 continents, namely Europe and Asia. So wide, when in the western part of the country it was still early in the morning, the eastern part was night. Russia is famous for being the first country to send humans into space. 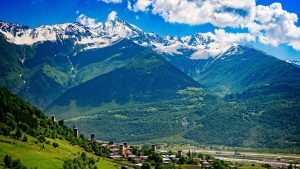 The Caucasus Mountains are in the southern part of the Siberian mainland which is a separator between Europe and Asia. One of the highest peaks is Mount Elbrus with a height of 5642 meters. The geological structure of the Caucasus extends northwest as the Crimea and Carpathian Mountains and to the southeast namely Central Asia as the Tian Shan and Pamir mountains. The Caucasus Mountains create impressive nature and barriers between Russia and its neighbors in the southwest, Georgia and Azerbaijan. Russia’s largest country is Siberia. The uniqueness of Siberia that the Siberian region has an unusual climate. 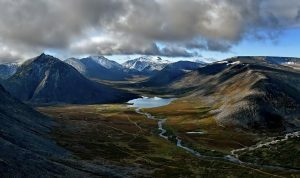 This climate is called the Tundra climate. 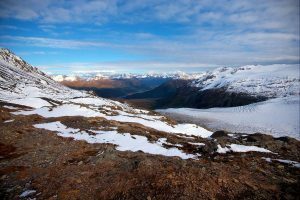 Climate Tundra is a climate in an area where tree growth is hampered by the low temperatures around the environment. Therefore this region is often called a treeless area. Only grass and moss can grow in the tundra climate. There are special animals can live in Siberia. Tundra is found in the northern region of the earth and is located on a high mountain peak. Thats why you must know how about living in Siberia because its climate. This country with a tundra climate makes almost all of its waters covered with ice. Only a few seas are not covered by ice. Of the 13 waters including swamps, there are only 8 that are not covered by ice. Russia is the coldest country in the world, where the average temperature in large Russian cities is below freezing. That’s why the waters in Russia mostly freeze in winter. Russia has a population of 142 million who make it a country with a high population. But unique to the large population, Russia has a low population density. This is because in addition to the country’s large territory, even distribution of the population is going well. There are several places in Russia that are the coldest. There is a village in Russia where the temperature is fantastic. Its name is Verkhoyansk village, where the temperature reaches -67 degrees Celsius. The average temperature in Saint Petersburg is -6°C, the West Siberian plain -27°C, Yakutsk City -43°C. The lowest temperature is -68°C, recorded in the Verkhoyansk in the north central Siberia and a record high of 43°C , recorded at several southern stations (Volgograd). With that fantastic extent, it turns out that Russia plays a big role as a provider of oxygen for Europe. According to the article, Russia covers 25% of the world’s forests, most of which are in Siberia. Much larger than the Amazon forests in Brazil, and the Borneo forests in Indonesia. So wide, Russia has up to 9 time zones. But, with its fantastic extent, Russia has up to 12 direct borders of the country. Russia has 12 direct geographic boundaries, namely, Norway, Finland, Estonia, Latvia, Belarus, Ukraine, Azebaijan , Georgia, Kazakhstan, Mongolia, China and North Korea. In one country, each region has a different time. It could be when eastern Russia is daytime, while western Russia is still at night. Ural Mountains has some beautiful facts. The Ural Mountains are a line of mountain chains that spread to the north and south through the western part of Russia. The Ural Mountains are one of the oldest mountains. These mountains form at the end of the carboniferus period. The Ural Mountains are formed through the collision of two continents, Siberia and the super continent. This is a combination of Laurasia (Europe and North America) and Gondwana. The ural mountains stretch for 2500 km from Kazakhstan to the northern border of Kazakhstan on the Arctic ocean coast. Baikal Lake has clear water with various animals there. This lake is not as wide as other lakes in Russia. However, Baikal Lake holds one in five of the total freshwater in the world. So much volume of water in Baikal Lake. Even if all the rivers in the world drain water at the lake together, it will take a full year to empty it. Amount of water in Baikal Lake can also be a drinking water reserve for all populations on earth for 50 years. The large volume of water in Lake Baikal is the result of its depth as the deepest lake on earth. 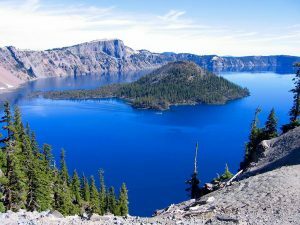 The bottom of the lake has a depth of up to 1.6 kilometers at some points. In addition, Baikal is the oldest lake in the world. Lake Baikal is located in a crack area between two plates of the earth that draw 2.5 cm each year. This happened for six months when the sun shifted to the north. That is from March to September. At this time the sunset in St. Petersburg is at 11:00 p.m. Sunrise time is 3:00 in the morning. It was really short at night there, which the local community once said to me, ‘Dracula will not come to Russia because the night is just a minute’. Thats all some Famous Facts About Russian Geography. Russia’s geography has caused this country to have many predicates. Located right next to the North Pole, Russia has many unique phenomena. Early on, the Russian population was accustomed to the cold and could overcome it. One way is to drink vodka. This is why vodka includes typical drinks in Russia. Even Russia is the biggest vodka producer in the world. Besides vodka, Russian people also have special foods in Russia during the winter.